When the sun begins to set it’s a signal the summer beach concerts, movies, and bonfires up and down Delaware beaches are ready to start. 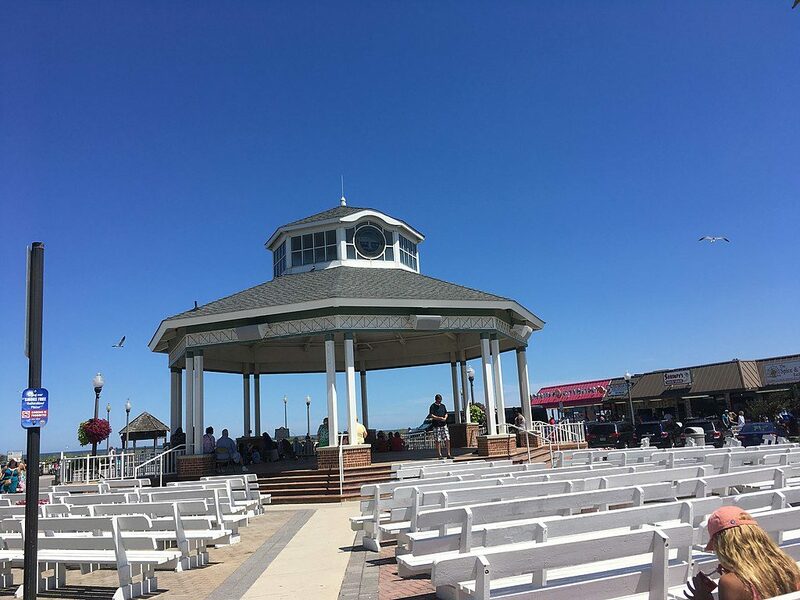 A highlight of summer is attending the free beach bandstand concerts hosted at Rehoboth Beach and Bethany Beach. These low-key smaller venues make for cozy settings to share with friends and family. The free concerts are perfect for visiting vacationers looking for some entertainment on a budget. All you need to bring is your blanket or beach chair. The town of Bethany regularly hosts free live music, bonfires, and movies on the beach. From Memorial Day through Labor Day beach-goers can listen to live music entertainment on the Bandstand spanning multiple dates each month. Concerts begin at 7:30 p.m. on the Bandstand unless indicated differently on the schedule. Movies happen Mondays June 12th – August 28th, at dusk on the beach off Garfield Parkway. Fridays in September on the Bandstand. The bonfires take place Thursdays June 15th- August 31st from 8 – 10 p.m. off Campbell Place. Marshmallows and sticks will be provided on a first-come, first-served basis while supplies last. Rehoboth’s summer concert series have been happening annually since 1963 to the delight of vacationers and year-round residents. Each year from mid-June through Labor Day weekend over 40 bands are selected to perform in an open-air concert venue just steps from the beach. The music kicks off at 8:00 p.m. The Cinemas by the Surf are shown at approximately 8:00 p.m. or close to sundown. Lots of towns have both free and paid concert series. Check out what’s happening around the area. The city of Lewes will be hosting twelve concerts for the 2018 summer season. Every Tuesday evening from June 12 to August 28, there will be a free concert starting at 7:00 p.m. on the open-air stage in Stango Park next to the Lewes library. Details about each performance can be found here. The Milton Concerts in the Park series are free concerts held at Memorial Park in the heart of town. Bring a lawn chair or blanket, or get there early and grab an outdoor table at Irish Eyes. The music begins at 7:00 p.m. each Wednesday running from late-May through end of August. Details are found here. The Freeman Stage is an open-air performing arts venue located near Fenwick Island. Highlights of this summer season include Smokey Robinson, Alison Krauss, Chris Janson and a host of other national and local favorites. Performances have a fee. For a complete run-down of the shows and ticket fees click here. The Woodlands of Dover International Speedway, located in the heart of Dover, is where all the music is happening. This is a weekend-long paid admission music festival. Even though it doesn’t fit into free music entertainment this is a festival many look forward to and it’s well-attended. If you’re interested, it’s encouraged to purchase your pass in advance online. Some passes may be available on event days but there are no guarantees. The complete line-up and full details can be found here. If you are preparing to buy or sell a home with active adult living in mind, this is a great time to schedule that initial meeting with one of the agents at Active Adults Realty. We look forward to introducing you to Coastal Delaware with a locals perspective. Contact us today.